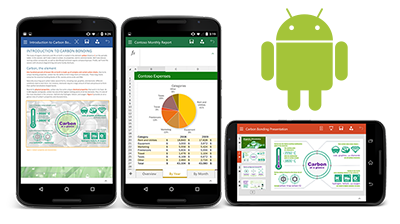 Put a stop to unauthorized sharing of paid content or confidential documents on Android devices. Enforce usage policies such as expiration, copy/paste and screenshot prevention. Support BYOD and subscriptions with FileOpen's device controls. Add or revoke a user's Android device with one click in your FileOpen dashboard. Once a user authenticates, they won't need to enter any additional logins or passwords to view your protected documents. You can allow offline/airplane mode access as well. Leverage the FileOpen API to connect your user database, ecommerce, and other systems to your workflow. Encrypt files dynamically according to triggers in other systems. The FileOpen Viewer App for Android is freely available for your users on the Google Play store. Please note the user must have the publisher's permission to open secured files on Android. Learn how you can secure files on Android with RightsManager, RightsServer or our Developer Toolkit.